Motor Vehicle Theft: 400 block of Longs Peak Avenue, a resident reported his 1989 Honda dirt bike was stolen from his driveway during the night. Issuance of a Bad Check: 400 block of Meadowlark, a 53-year-old woman wrote three checks that were returned for insufficient funds. Vehicle Crash: Mountain Avenue and 1st Street, a driver slid on ice and struck the curb. Warrant Arrest: Mountain Avenue and 2nd Street, a 32-year-old man was a passenger on a traffic stop and arrested for a warrant. Suspicious Incident: 200 block of 2nd Street, a 17-year-old boy was called in as banging on windows at 2 am. Driving while Suspended/Owner Operated Uninsured Motor Vehicle/Vehicle Number Plates not Visible: Massachusetts Avenue and 8th Street, a 40-year-old man was stopped for a traffic violation and found to have a suspended license for insurance termination. Insurance agency confirmed his insurance was cancelled in June 2015. Vehicle Crash: 1st Street and CR10, a driver lost control of her vehicle after hitting a patch of ice on 1st Street and drove into a fence. Warrant Arrest: Berthoud Town Hall: a 17-year-old boy turned himself in on a felony warrant as well as charges from another case. Follow-up to a Burglary: The HUB: A deputy photographed a 17-year-old boy’s shoes which have the same class characteristics as the shoeprints in the snow from a burglary. Suspicious Incident: 200 block of 2nd Street, it was reported that a 30-year-old man and a 25-year-old woman had been in an altercation. Vehicle Crash: County Road17 and Heartwood, a driver was driving too fast for the road conditions and slid off the roadway striking a speed limit sign. Vehicle Crash: 4th Street and Franklin Avenue, a delivery truck was making a delivery when their truck jumped out of gear and rolled into another vehicle. Vehicle Crash: Highway 287 and County Road17, a driver made a left turn on a red arrow and hit another vehicle. The people in the second car were transported to the hospital for non-life threatening injuries. Warrant Arrest: County Road 8 and Pyramid Peak Street, a 34-year-old man was contacted on a traffic stop and arrested on three outstanding warrants. Slide Offs: CR17 and 10E, strong winds caused blowing snow which created a skating rink on the hill of CR17. Several cars slid off of the road but no damage was reported. Berthoud Street Department came and sanded the road and problem was solved. Abandoned Vehicle: Bunyan and 2nd Street, a moving van was left in the roadway during the snow storm. Vehicles had to go into oncoming traffic’s lane to get around it. Vehicle was towed. Theft/Burglary: 100 block of E 2nd Street, a resident called to report that a $650 water heater was stolen out of a new construction garage. He said it was not installed and had been delivered on Tuesday. Violation of a Restraining Order: 800 block of Greenwood Drive, a step-dad called to report that his step-son’s father contacted the son who he is restrained from. Welfare Check: 600 block of Capitol Avenue, a woman was contacted at her home on a welfare check after she had supposedly made odd statements to a third party. Vehicle Crash: 200 block of Mountain Avenue, a driver had been distracted by a train while he was driving westbound and rear-ended another vehicle. DEFENSIVE ASSAULT: 4900 block of Marie P. DeBartolo Way, Santa Clara, California, Levi’s Stadium: CAM NEWTON complained of multiple assaults by members of the DENVER BRONCOS. He specifically named VON MILLER as the primary suspect. NEWTON had clearly been hit multiple times and appeared to be distraught by the incident. Code Enforcement: Contacted several residence for not shoveling their sidewalks. Driving Under Restraint: Hwy 287 at mile marker 324, a 25-year-old man was confirmed cancelled/denied. Summonsed and released. A 33-year-old woman arrived to drive the man home and was found to have an active warrant for her arrest. Driving Under Restraint / Unlawful Possession of Marijuana: Hwy 287 and CR17, a 27-year-old man was confirmed suspended and taken into custody. Upon conducting an inventory of the vehicle, 49.1 ounces of marijuana was located in the trunk. Assist to State Patrol and Animal Control/Animal Abandonment/Abandoned Vehicle: Highway 287 at mile marker 327, a man abandoned his red minivan after it had lost a wheel and he could not afford to have it towed. It was found by State Patrol still running with three cardboard boxes outside that had 10 dead chicks, 1 live chick and 3 live chickens. Underneath the van, a duck was located alive. All the animals were turned over to animal control. The owner of the vehicle was located at motel and issued a citation. Speeding / Warrant: Hwy 287 and CR8, a 32-year-old man was stopped for speeding and found to have an active warrant for his arrest. Obstruction/Harassment: 1300 block of 4th Street, a 58-year-old man became irate at his neighbor, because she walked her leashed dog too close to his unleashed “Service cat.” The man believes his neighbor has it out for his cat and today he decided he had enough. The man refused to sign his citation and instead chose jail. By ADA definitions only dogs and sometimes miniature horses can be a service animal. Vehicle Crash: CR 15 and CR 6, a 27-year-old man decided to take his sports car for a spin. He was illegally passing a vehicle when he lost control and went into a ditch. Partially submerging his vehicle in water. Violation of a Restraining Order: 900 block of Wilshire Drive, a 30-year-old woman was contacted during a verbal disturbance with her mother. 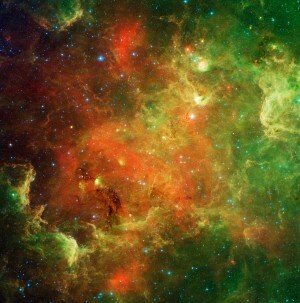 She was in contact with her son in violation of a protection order. Warrant Arrest: Bunyan and 2nd Street, a 29-year-old woman was contacted for a traffic violation. She was found to have a warrant for her arrest. The woman had her two-year-old in the car. As opposed to taking her to jail she was escorted to Loveland PD and released. Vehicle Trespass/Theft: Unknown exact location, a resident called to report that his handgun had been stolen out of his truck sometime since the beginning of February. 3rd Degree Assault/Unauthorized Use of a Financial Transaction Device/Warrant Arrest: 700 block of Welch Avenue, a resident called to report that she was assaulted by a male roommate when he grabbed a plastic bag that had been wrapped around her wrist. During the investigation, it was determined that the man had unlawfully used the woman’s debit card. The woman did not wish to pursue criminal charges for the assault or unauthorized use. The man had an outstanding warrant and was taken into custody and booked. Disorderly Conduct/Obstruction: 500 block of 3rd Street, two 22-year-old men were fighting outside. A 29-year-old man obstructed deputies during the investigation. Warrant Arrest/Violation of Mandatory Restraining Order: 500 Block 3rd Street, a 30-year-old man was arrested on his no bond felony warrant. While in contact with the man he stated he was on his way to see his girlfriend. There is currently a restraining order in place stating no contact within 50 yards. Criminal Mischief: 800 block of Spartan Avenue, while on an extra check, graffiti was found on the concession stand and bathrooms near the baseball field. Vehicle Crash: 20000 block of SE Frontage Road: a vehicle struck another vehicle. No injuries. The driver of the hit vehicle was cited for Careless Driving. Harassment: 900 block of Mountain Avenue, a 49-year-old man confronted another gentleman inside of a business. The man threatened the other and made inappropriate comments. 72 Hour Tow: 100 Block of E. Colorado Avenue, white Chevy S10 was towed after being tagged for removal. Arrest: Berthoud Town Hall, the 49-year-old suspect from yesterday’s harassment was arrested. 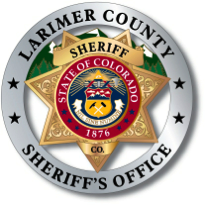 Fraud: 200 block of 2nd Street, a resident received a phone call from someone claiming to be Jack Rider with the Larimer County Sheriff’s Office who instructed her to call IRS agent Steven White or she would be arrested for tax fraud. She called and gave her Social Security Number before becoming suspicious. Never give personal information over the phone to those you do not know. The Sheriff’s Office will never call asking for money. Possible Violation Restraining Order: 900 block of Massachusetts Avenue, a girl received roses today via delivery. Roses possibly sent by a man who is restrained from any contact with anyone under the age of 18. The suspect is currently in the Weld County Jail. Found Property: Gateway Park & Mountain Avenue, a passerby finds three unused syringes in the parking area of Gateway Park. Civil Issue: 200 block of 1st Street, a man was sent by his boss to collect trucks from this property. The man reported more issues with his vehicles being chopped up by the owner of the property. Paraphernalia: 900 block of Franklin Avenue, an 18-year-old man was observed exiting his vehicle when his marijuana glass pipe fell out of the vehicle in front of three Deputies. Violation Restraining Order: 300 block of Columbine Circle, a 44-year-old man contacted his ex in violation of an active protection order. Suspicious: 2nd Street & Bunyan Avenue, a truck driver parked his semi-truck at this intersection over night. When he returned to the truck, he found diesel fuel running down the outside of the tank and noticed that the fuel gauge read a quarter tank lower than when he parked it. No signs of tampering and identical residue on both tanks. Residue appears consistent with a slow leak from the fuel tank. DUI / Weaving: 6th Street & Turner Avenue, a 48-year-old man was stopped for weaving and found to be driving under the influence. Theft: 100 block of Mountain Avenue, Habitat Restore reported that an unknown male stole a Dell laptop from the store. Family Problems: 800 block of 1st Street, a 15-year-old boy reported his parents got into a heated argument over whether their son could have a friend stay the night for a sleep over. Juvenile Problem: Pioneer Park, 3 juvenile boys were contacted by deputies for being in the park after hours. Welfare Check: Hwy 287, a report came in by a passerby that there was a man slumped over the steering wheel on the west side of Hwy 287. Deputy checked on the man and he was resting from driving. Scam: 1000 block of 7th Street, last Thursday a resident received notification that he needed an update on his computer. Since then he has been getting calls from “Microsoft” asking for his debit card. The calls keep coming in from different phone numbers. The resident did not give out any personal information. Vehicle Crash / Following Too Closely: Hwy 287 & CR8, a driver rear-ended another vehicle causing substantial damage. Criminal Mischief: Pioneer Park, graffiti was discovered on the north and west exterior walls of the park building. Juvenile Problem: 800 block of Spartan Avenue, the School Resource Office contacted a 14-year-old boy outside the school with another 14-year-old boy on school grounds. Illegal items were located and the boy stated he forgot it was in his pocket when he went to school. Assist to Colorado State Patrol: I-25 & mile marker 250, Colorado State Patrol was in pursuit of a vehicle northbound on 1-25. Berthoud Deputy deployed a tire deflating device which was successfully deployed and the vehicle was later disabled at Johnson’s Corner. Recovered Stolen vehicle: 20700 SE Frontage Rd: A stolen motorcycle out of Longmont was recovered from the Berthoud Park and Ride parking lot. The Longmont PD and the vehicle owner were notified that the vehicle was recovered. Suspicious Circumstances: 900 block of 7th Street, a resident reported that he is concerned about an unknown couple he had been communicating with over a craigslist ad for the possibility of inappropriate actions. 72-Hour Tag: 100 block of Keep Circle, Black Chevy was tagged for 72 hours tow. Message left for registered owner. Criminal Mischief: 1100 block of Navajo Place, a resident reported a tire to her car was slashed in her driveway. Harassment: 1300 block of Mt. Meeker, a resident reported that he was threatened by his brother-in-law. Animal Call: 1300 block Glacier Avenue, an injured female black lab was turned over to Animal Control. Suspicious Circumstances: Welch Avenue & 10th Street, three juveniles and one adult man ran from a vehicle at this intersection without a traffic stop being initiated. The vehicle belongs to one of the juvenile’s parents, who had no knowledge that it had been taken, or that their daughter was gone. They responded to take custody of the vehicle but declined to pursue charges. One of the girls was later contacted and initially denied being in the vehicle or involved in the case. It was determined that she was in the vehicle, and she was cited for false reporting. Warrant Arrest: Hwy 287 & CR8, a 32-year-old woman was a passenger on a traffic stop and found to have a warrant for her arrest. Motor Vehicle Theft: 1500 block of Chokeberry Street, a resident was notified by Longmont Police Department that his Toyota Tundra was found damaged and abandoned on the side of the road. Vehicle Trespass: 1500 block of Chokeberry Street, a resident reported her two unlocked vehicles were entered and rummaged through nothing was missing. Criminal Mischief: 1300 4th Street, a resident reported someone slashed the two front tires on his vehicle. Suspicious Circumstances: 1000 block of 2nd Street, an employee reported a suspicious male, driving a white mid-2000’s Chevy Impala approached one of the customers and asked her to purchase marijuana for him. The customer declined. Family Problems: 300 Hubbell Street, a 57-year-old man and a 24-year-old man were in a disturbance. One of the men when using alcohol gets violent when he drinks. Simple fix here.